Remember Ramparts? Remember the energy and political punch of this glossy New Left muckraking magazine? 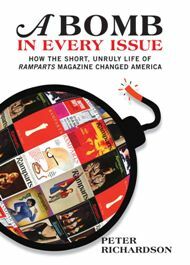 PETER RICHARDSON explains how Bob Scheer and Warren Hinckle did it – his new book is A Bomb in Every Issue: How the Short, Unruly Life of Ramparts Magazine Changed America.